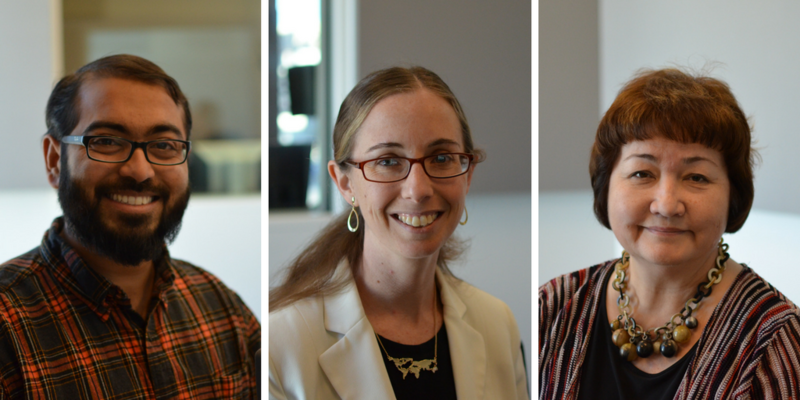 Faizan Syed, Jessica Mayo and Anna Crosslin joined St. Louis on the Air to discuss the local impact of President Trump's executive orders on immigration. On Friday, an executive order, “Protecting the Nation From Foreign Terrorist Entry Into the United States,” halted immigration from seven countries (Iraq, Syria, Sudan, Iran, Somalia, Libya and Yemen) for 90 days and refugee admissions for 120 days. 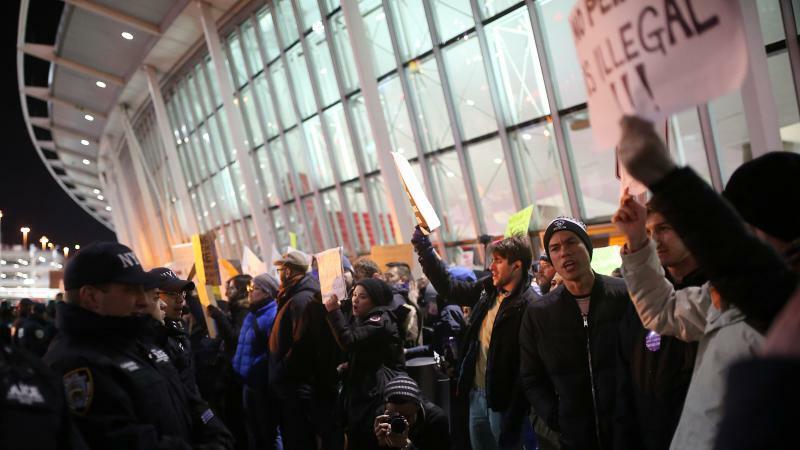 Syrian refugees, however, are barred from entry into the United States until further notice. The order sparked a wave of protests and lawsuits around the country, including here in St. Louis. While many are calling it a “Muslim ban” because it bars people from entering the country from countries with majority Muslim populations, White House Press Secretary Sean Spicer has asserted it is no such thing. The vague nature of some parts of the executive order have left U.S. visa holders abroad, legal permanent residents abroad and at home, and the legal community scrambling. The full scope of how the order will be enforced is not yet known. On Wednesday of last week, Trump also signed two executive orders, "Enhancing Public Safety in the Interior of the United States" and "Border Security and Immigration Enforcement Improvements," dealing with, in part, the construction of a southern border wall with Mexico, upping cooperation between the federal government and local governments in apprehending those in violation of immigration law, enforcement orders and plans for a weekly report from the Department of Homeland Security on the crimes committed by aliens. How are these orders impacting the St. Louis immigrant, refugee, and Muslim communities? On Thursday’s St. Louis on the Air, we discussed the situation with several local stakeholders and heard from those directly impacted by the executive orders. Joining the program were Faizan Syed, Executive Director of the Council on American Islamic Relations (CAIR) in Saint Louis; Anna Crosslin, President and CEO of the International Institute of St. Louis; and Jessica Mayo, Co-Director of Migrant and Immigrant Community Action Project in St. Louis. How are local immigrant, refugee and Muslim communities impacted by President Trump's recent executive orders on immigration? St. Louis on the Air host Don Marsh spoke with representatives from CAIR-St. Louis, the Migrant and Community Action Project and the International Institute. For the International Institute, the organization responsible for resettling refugees in the St. Louis area, the ban on refugee entry into the country for 120 days is catastrophic. Some 60 refugees were supposed to be settled in St. Louis this week and, as of now, only seven refugees have been allowed through the border. “It happened so fast that we literally had families due to arrive this week, tickets were bought, individuals ready to come, and they were just canceled,” Crosslin said. Since Friday, 150 new volunteers in have signed up to help families assisted by the International Institute and donations have flowed in at an increased rate. At the Migrant and Immigrant Community Action Project, a small, non-profit immigration law firm in St. Louis, clients are impacted not only by the temporary ban on immigration from the seven countries, but also by Wednesday’s executive orders dealing with enforcement of deportation for those in the country without a legal status. In addition to traditional immigration enforcement, one of Wednesday’s order also encouraged agreements between the federal government and local law enforcement to work together on people in violation of immigration law. In the Muslim community, fear and anxiety is bubbling up about what happens next. Syed’s organization, CAIR-St. Louis, which has organized a march this Saturday in support of immigrants, refugees and Muslims, is hearing cases of people being turned away from the country who aren’t from the seven countries identified in Trump’s order. 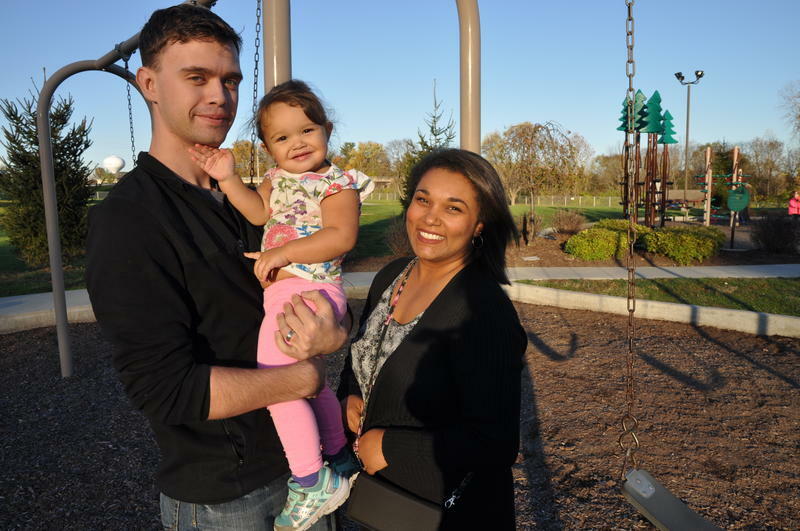 Mohammed Saeed, who came to the United States on a Fulbright scholarship from Iraq in 2010, is a legal permanent resident of the U.S. and holds a green card. He works as a researcher at Washington University and fears he can no longer leave the U.S. to present at conferences. He said he was even worried about traveling on a flight domestically because of how quickly laws have changed here. “Until a few days ago it was unheard of for green card holders to be denied entry to the U.S., so it is not unimaginable if I get on the flight [domestically] that I might have to face consequences,” Saeed said. Saeed, who is eligible to apply for citizenship in two years, said he is unsure if that will be allowed now. “It is all based on nothing that I did but where I was born,” Saeed said. Amin, who asked to have his last name withheld, came to the U.S. in 2012 to pursue a Masters in mechanical engineering. He now splits his time between Peoria, Ill., and his home in St. Louis. When he got married last year, his Iranian mother and father-in-law were not able to come because of the length of the background check required for their visa. Recently, they finally received that visa, only to now be denied the ability to use it. Amin also learned this week that his application for lawful permanent residency, a green card sponsored by his employer, has been suspended. “It will be this way for 90 days and God knows what will happen after that,” he said. While the general reasoning for the executive orders has been to increase security in the United States, Crosslin, Syed and Mayo see the orders as having the opposite effect. Mayo pointed to one of the provisions of Wednesday’s orders that said the Department of Homeland Security would publish a weekly list of crimes committed by aliens. She said that publishing such lists coupled with upped collaboration with local law enforcement creates a sense of fear in immigrant communities. This means immigrants are less likely to go to the police with issues of domestic violence, theft, or employer abuse, which increases risk to those communities, in turn, creating more risk for American society as a whole. Jan. 29, 2017: Protesters gathered outside the Terminal 1 departure area at Lambert-St. Louis International Airport. Crosslin worries about the safety of Americans abroad — especially the U.S. military. Syed pointed to the fact that, of the countries listed in the executive order, no one from those countries has committed a terrorist act on American soil since 9/11. For those impacted by the various the executive orders on immigration, Mayo suggests staying put as all the implications from the orders are sorted out between the Trump administration, the State Department, the Department of Homeland Security, United States Citizenship and Immigration Services and lawyers. She said it is unclear at this point how much enforcement of these orders will actually take place due to pending lawsuits taking place in the court systems right now. She suggests visa holders and even green card holders should not leave the country. 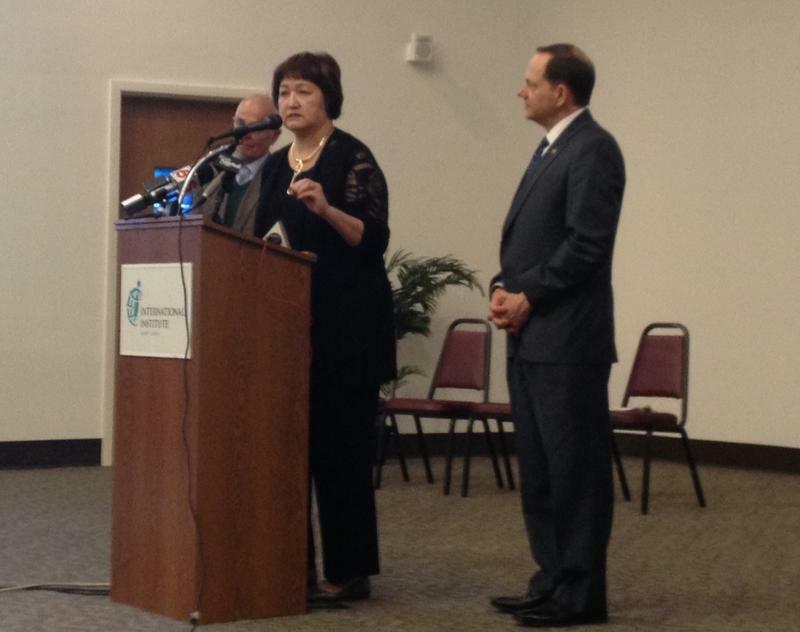 She also suggests that anyone impacted carry proof of lawful status or proof they’ve been in US for last two years. Syed suggested that those who are abroad, even from Muslim-majority countries outside the seven countries listed in the executive order, should make their way back to the U.S.
Mayo said that originally lawyers thought Friday’s executive order would only apply to refugees or those outside the country with visas attempting to enter the United States. In the past days, they’ve found that legal permanent residents with work permits, green cards, asylum cases, and other types of immigration statuses may also be impacted, with cases now left pending instead of active. She’s also heard of cases where oath ceremonies for those who have gone through the naturalization process, taken the citizenship exam and have a scheduled ceremony have been told they can no longer attend, at least temporarily. “There is the very real possibility that at least for some period of time, people from those countries cannot become US citizens, even though they meet all statutory requirements,” Mayo said. For refugees who were approved to come to the United States but had not yet made the trip, things are looking pretty dire. The 120 day ban may throw some applications into uproar. Feb. 27, 2017: Summer Albarcha stands with friends at a rally to show support for immigrants and refugees outside Sen. Roy Blunt's Clayton office. This week, Blunt released a statement expressing support for President Trump's executive order on immigration. While it is unclear if St. Louis could or would ever become a Sanctuary City (a city that has adopted a policy of protecting illegal immigrants by not prosecuting them for violating federal immigration laws), Mayo said there are some steps the city could take to help affected immigrants in the area. Those measures would include better training for police officers responding to immigrant calls/concerns and a refusal to use local law enforcement to enforce immigration laws here. It should be noted that immigration law is separate from criminal law, which would still be enforced. 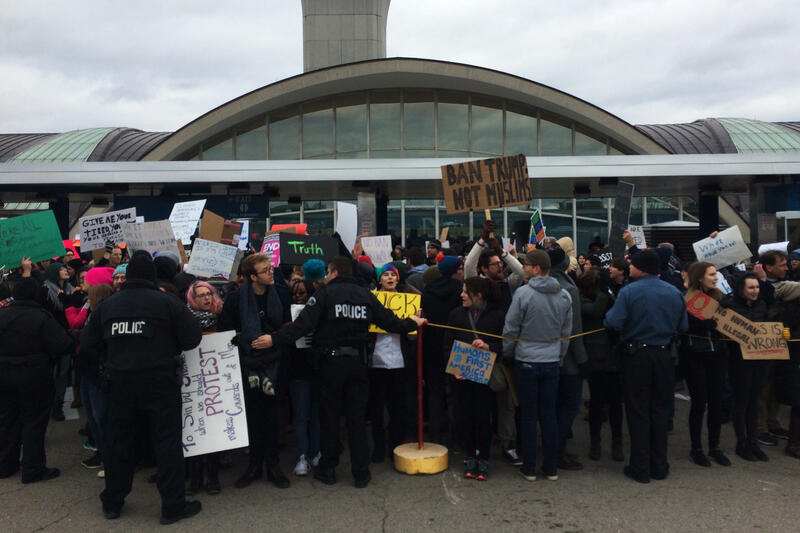 Syed is encouraged by the protests he has seen in St. Louis over the immigration orders and suggests that the time is now for St. Louisans to raise their voice against the executive orders. This report was prepared, in part, with help from our Public Insight Network. Click here if you have insight to share on this topic. 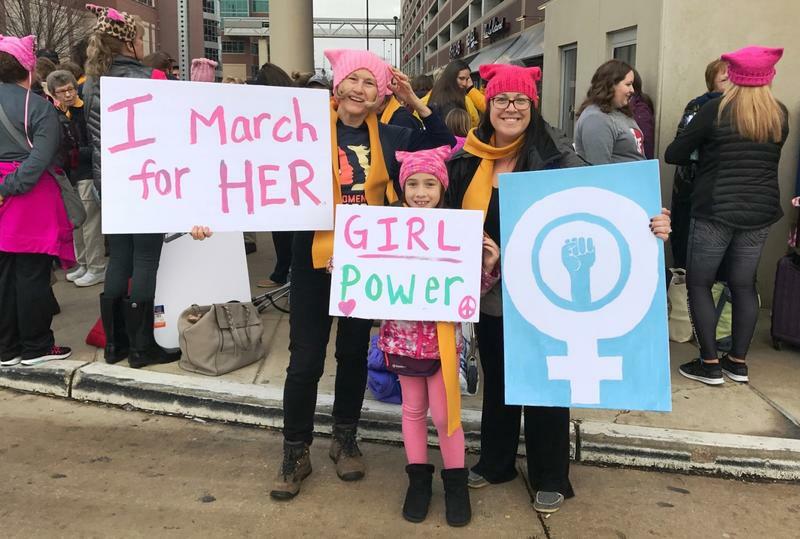 More than 150 St. Louisans traveled and slept on charter buses to join the Women’s March on Washington over the weekend. For many, the trip was about reinvigorating family ties as well as rallying for social justice.